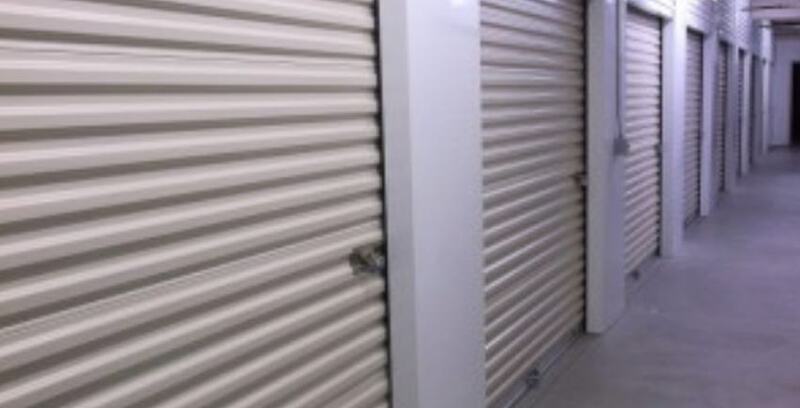 A row of safe and secure storage. From 1965 – 1995, the building was a Kaiser Hospital. Some current tenants remember going to the doctors there, but now they visit to store their belongings. In 1999 it was rebuilt, but was vacant a few years before becoming a storage facility. Since it once was a hospital, the facility’s two story layout is very unique and has wide aisles that make storing items easy; additionally, the thick concrete walls keep the building and units very cool. Grape Avenue boasts 417 units and 34,081 total rentable square feet. The property is currently operating at 99% occupancy with only 4 vacant units! According to the manager, the facility has almost always been full. Over the past 15 years, there have only been five auctions! The property’s manager, Doug Reid, has worked at Grape Avenue Self Storage for over 15 years and has done a masterful job building occupancy and growth. He is a fast learner and had to be as a 13 year old working in his father’s tire shop; he looks forward to learning about StoragePRO and its traditions. Doug loves creating relationships with his customers, he knows some fact about each customer, and knows nearly all of them by name. Because of his friendliness, his facility has a very comfortable feel and a pleasant ambiance. Please welcome Doug to the StoragePRO family. We look forward to managing this exciting, new property!